Handy sized, wax-based animal markers, in a twist-up plastic dispenser for ease of use. Ideal for carrying around in a vehicle or jacket pocket for all those marking jobs. Manufactured using the same wax mixture as the all temperature ram crayons. Fully scourable. 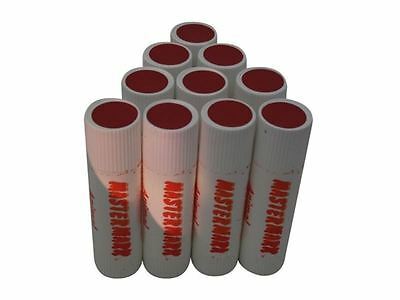 There are currently no questions for Mastermark Wax Markers Twist Base - be the first to ask one!